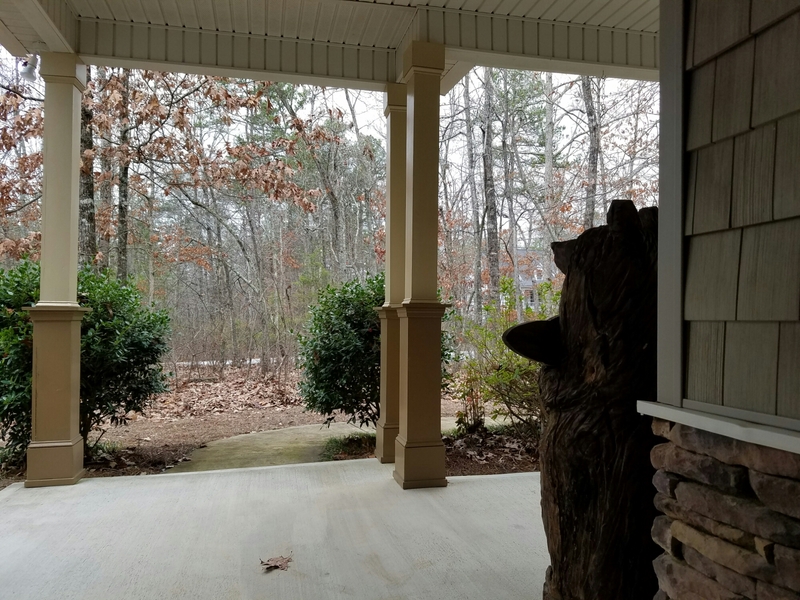 Our carved bear, Carlos, standing guard on the front porch. Love it! Love that bear! What! No pictures of the encounter? What’s more important life and limb or blog photos?